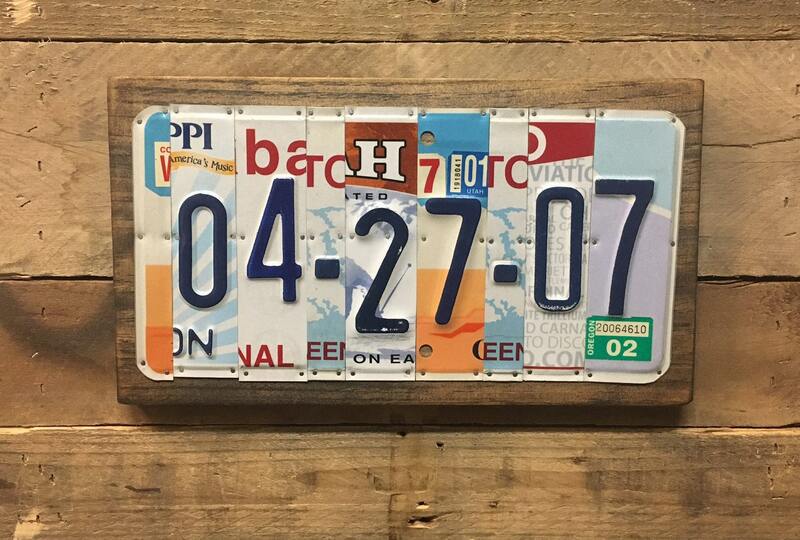 Our license plate signs are tailor-made from authentic license plates from various states. 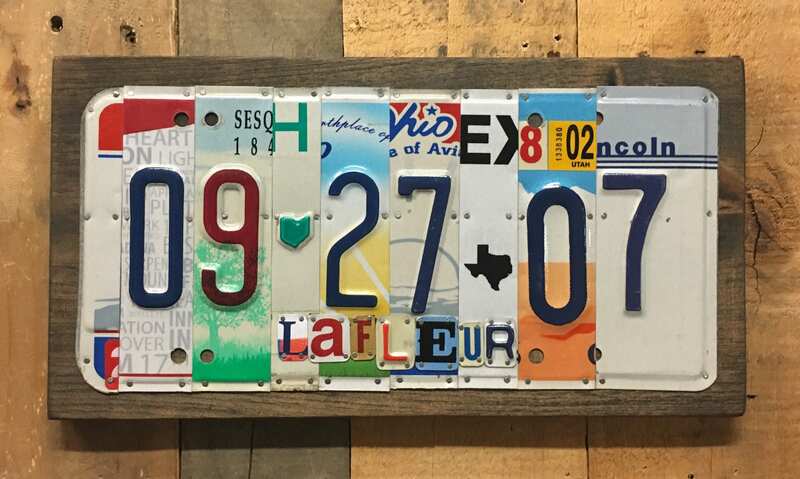 All signs are one-of-a-kind, not exactly as shown in the example above since we use a variety of plates from many states. 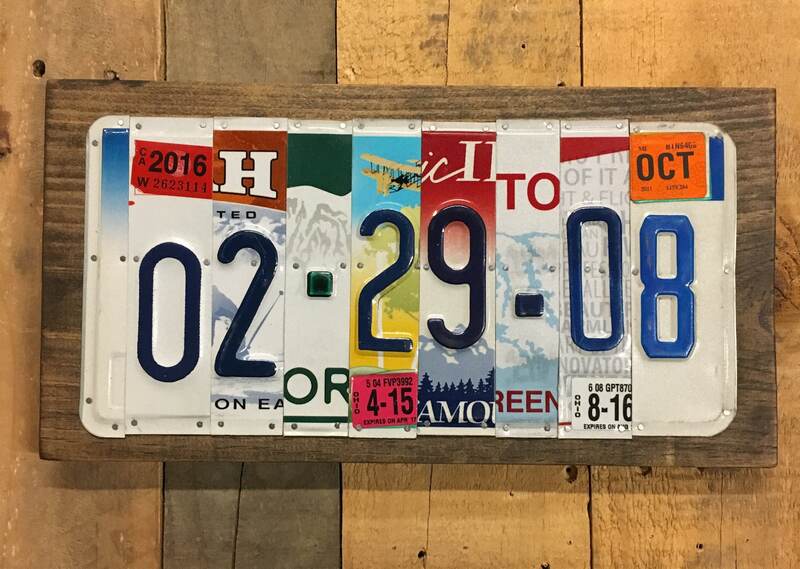 This sign will be made once you order it with carefully selected numbers. During Checkout, let us know in the "Notes to Seller" section which date you want (6 digits will be used in MM-DD-YY format). 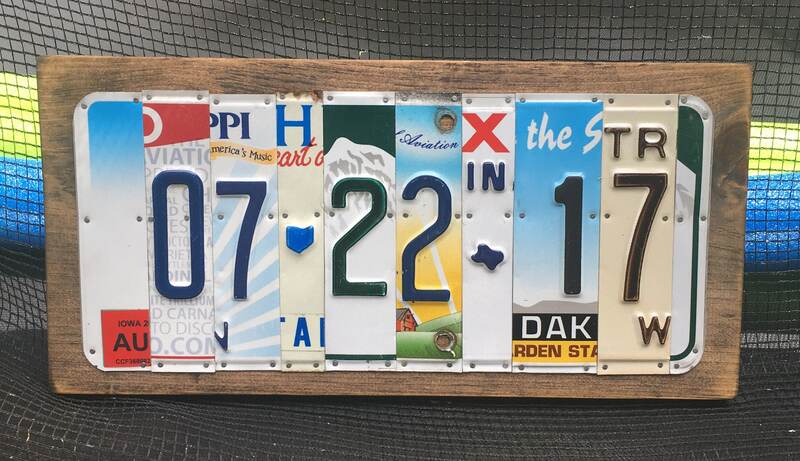 For $4 per small letter extra, WE CAN ALSO ADD YOUR FAMILY NAME in smaller letters above or below the larger letters/numbers. See second photo for example. If you do not want your family name added, select the first option in the drop-down menu: "Date only." Rustic Apple Art has been featured in Country Living Magazine (July/Aug 2016 issue) as well as many Central Ohio press outlets. 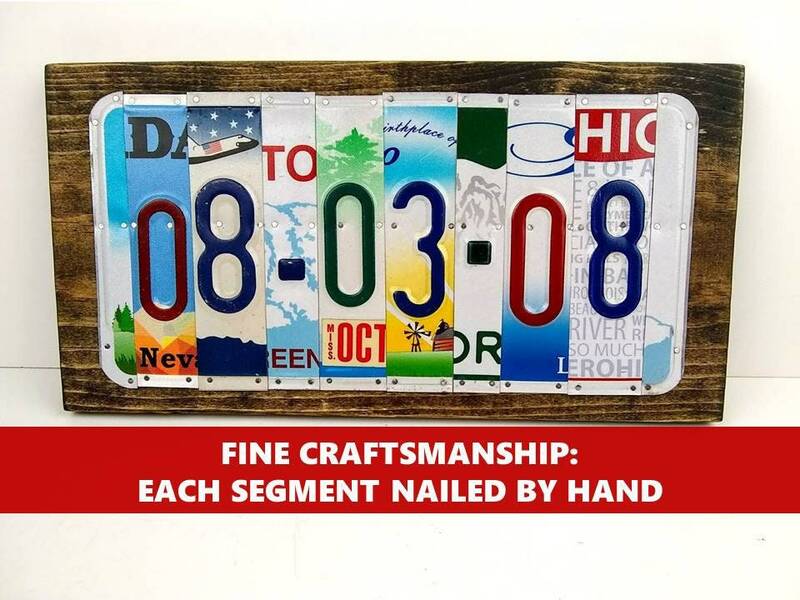 We pay special attention to detail and we're sure you'll be pleased with the quality of your custom sign! 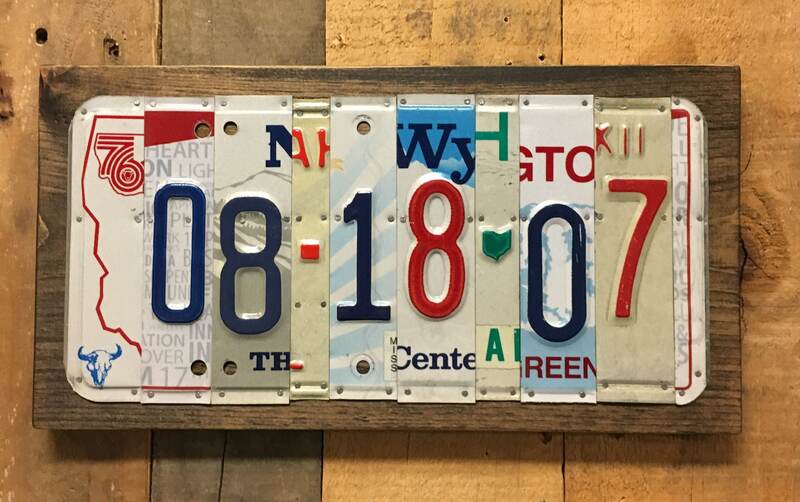 •	Purchase the sign and let us know the date (MM-DD-YY format) in the "Notes to seller" section. •	You can approve the sign before we nail it down! 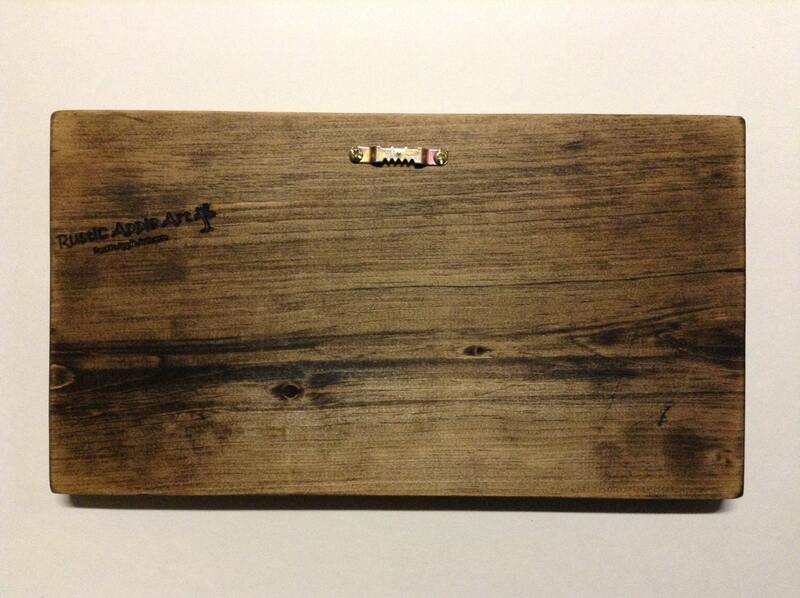 We’ll send you a photo of the item mocked up (laid out but not nailed yet). We usually send a mock up within 2-3 days of receiving an order. 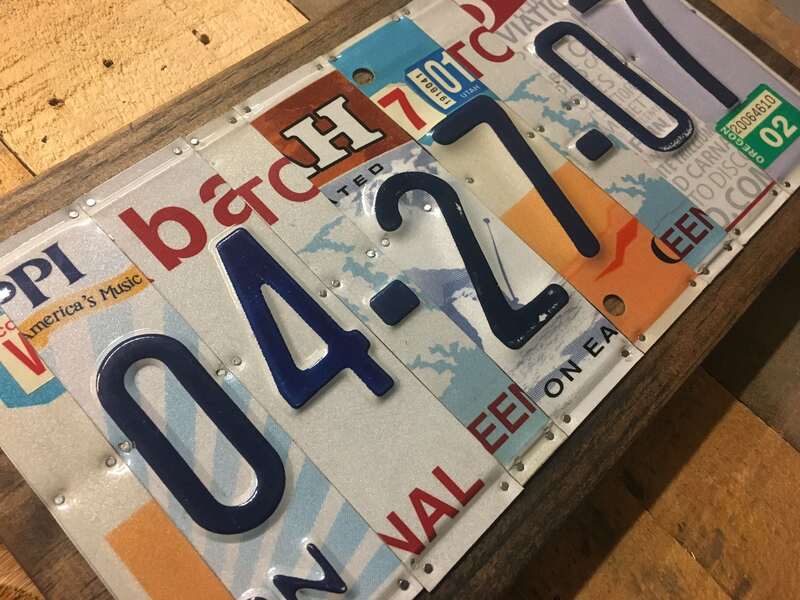 •	Once you approve the mock up, we finish nailing down the license plate pieces onto stained wood and attach a sawtooth hanger on the back for hanging on a wall. •	We'll package and ship via USPS Priority Mail for orders within USA (2-3 day shipping). 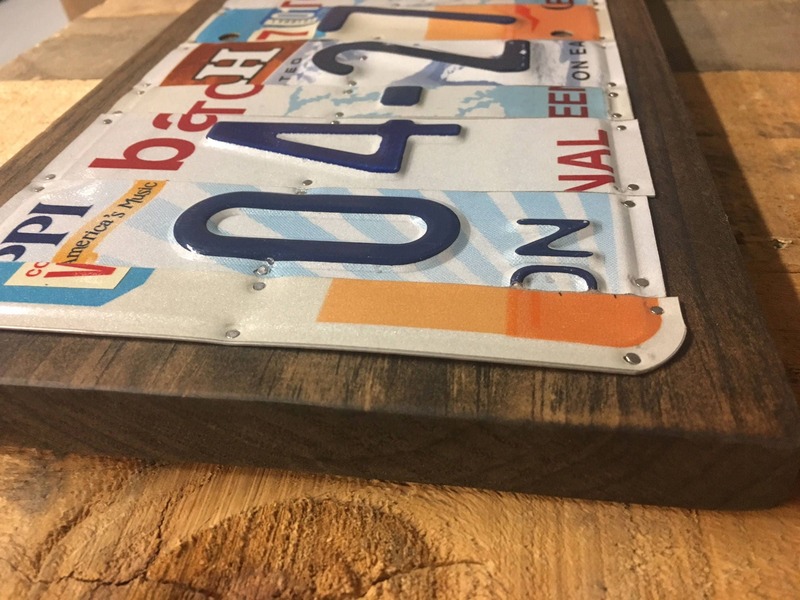 License plates are nailed to stained solid pine wood. Color of stain shown in photos. Feel free to contact us before ordering if you have questions!